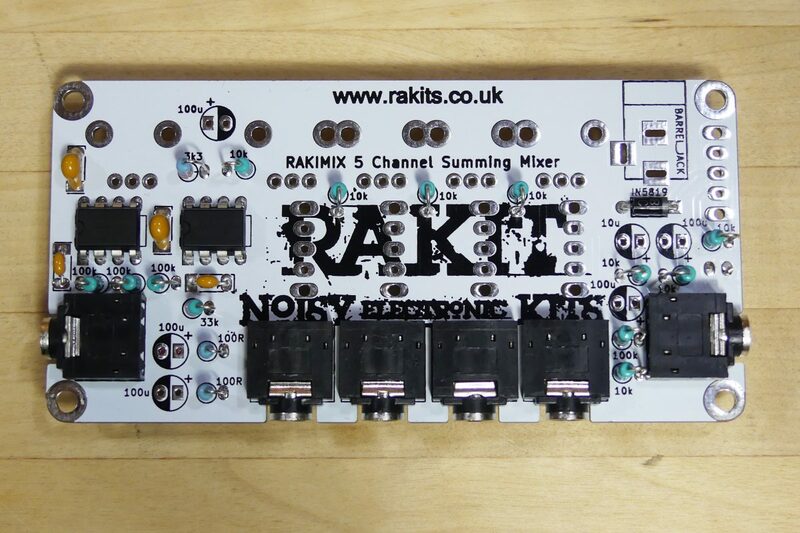 Thank you for purchasing the Rakimix 5 channel mixer! This is an intermediate kit which should take approximately an hour to assemble. If you have any questions or are unsure about anything please get in touch before proceeding! 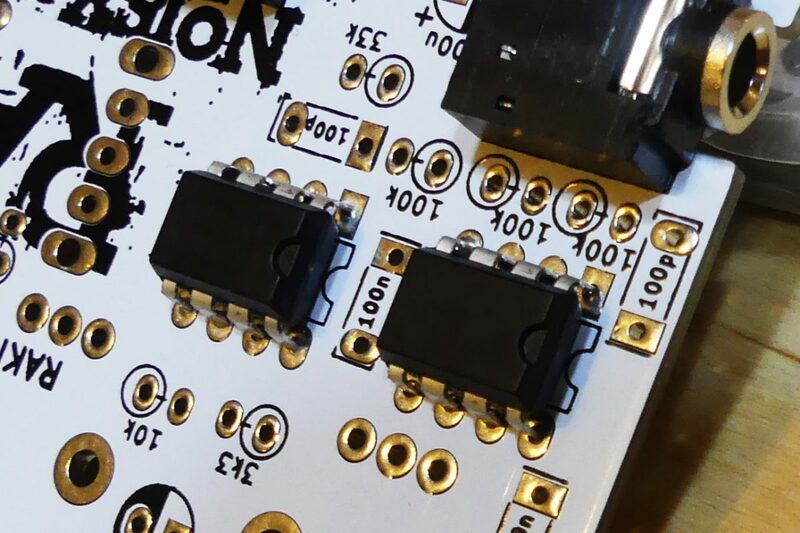 Fixing mistakes by desoldering components can be tricky and is likely to cause damage to the PCB if not done perfectly so if you’re in any doubt ask first using our contact page – no question is too silly, we are more than happy to help! 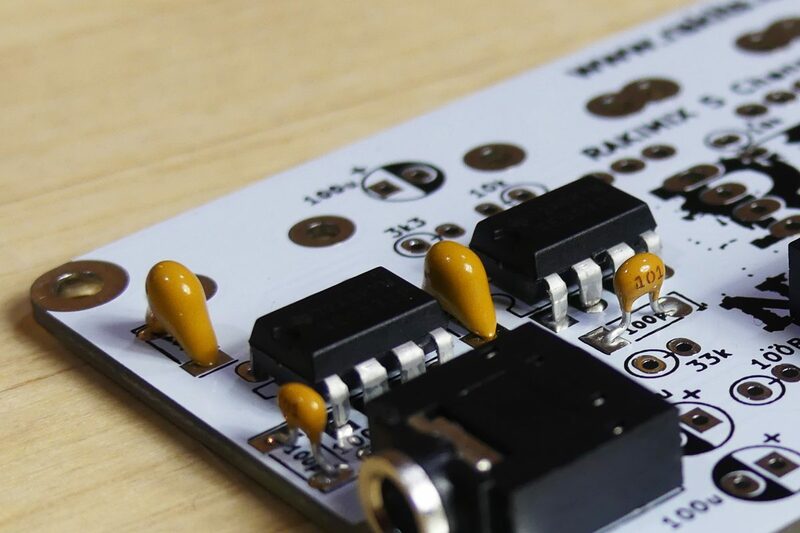 Once assembled the kit is a proficient mixer with 4 controllable channels and one auxiliary channel. The auxiliary channel can be used to daisy chain with another rakimix or any typical mono audio source. There are a lot of small components included in the Rakimix kit so please open the packaging carefully and check that all parts are present and correct using the parts list below before you start. Install the 3.5mm sockets, ensuring they are fully pushed down and level. 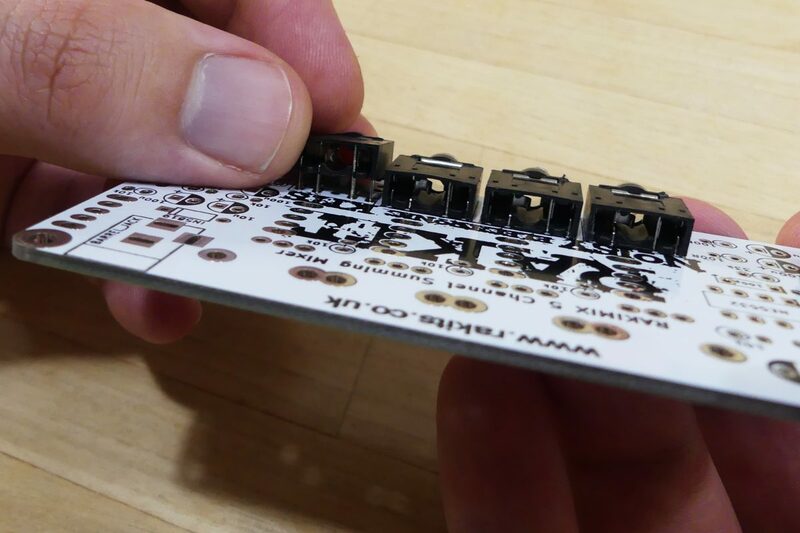 Sometimes getting the sockets perfectly flush with the PCB can be tricky. 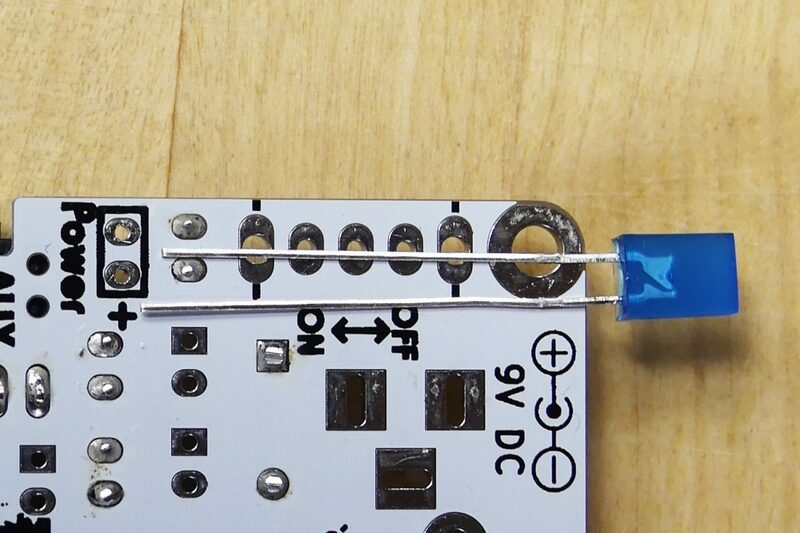 We like to apply solder to one pin, heat the pin and gently apply pressure to the socket. 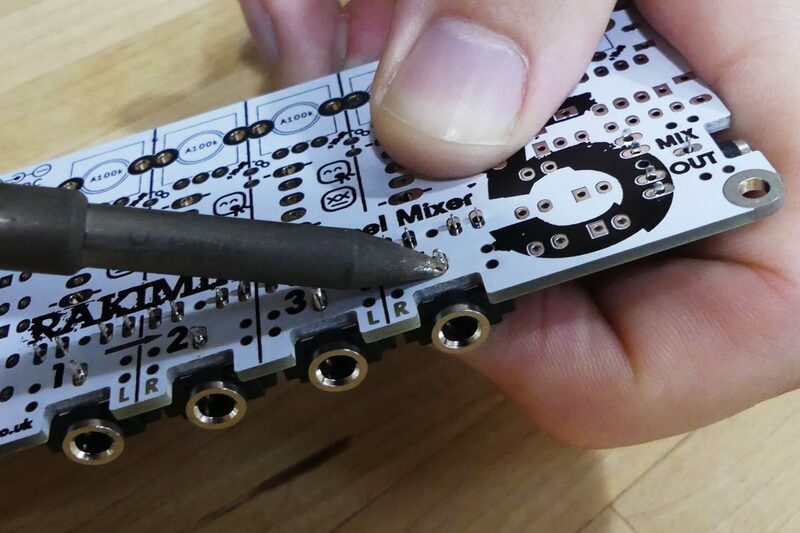 This way when the solder cools, it remains perfectly aligned and the same trick works with all sorts of components. 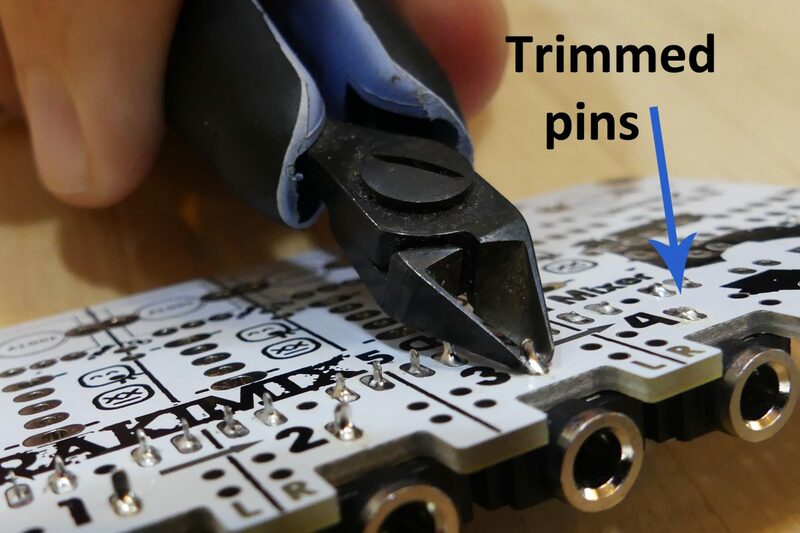 Our favorite PCB construction tool is the flush cutter. After soldering cut the pins as low to the board as you dare. Be careful! The trimmed legs could fly off and hit you or someone else in the eye. Mount the 1N5819 schottky diode paying special attention to the orientation. The line on the silkscreen should correspond with the band on the diode. 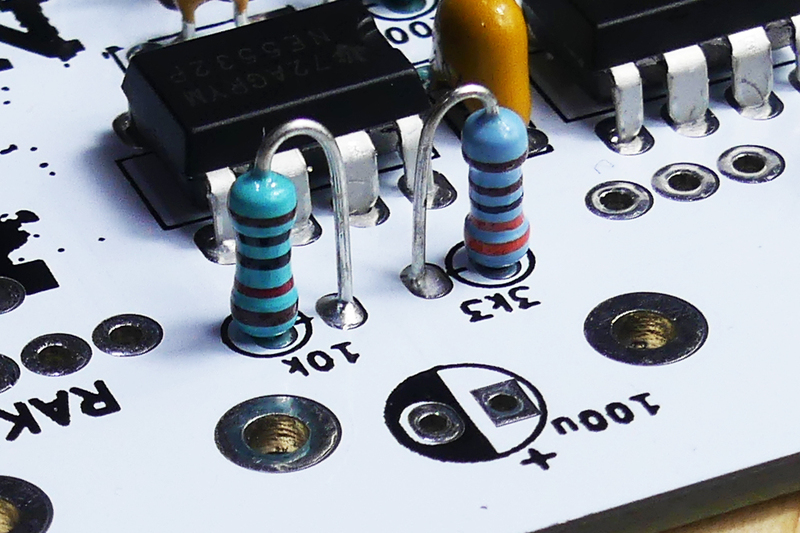 Insert the two NE5532 Op Amps with the C shaped notches aligned with the silkscreen. The square pad also indicates pin 1. 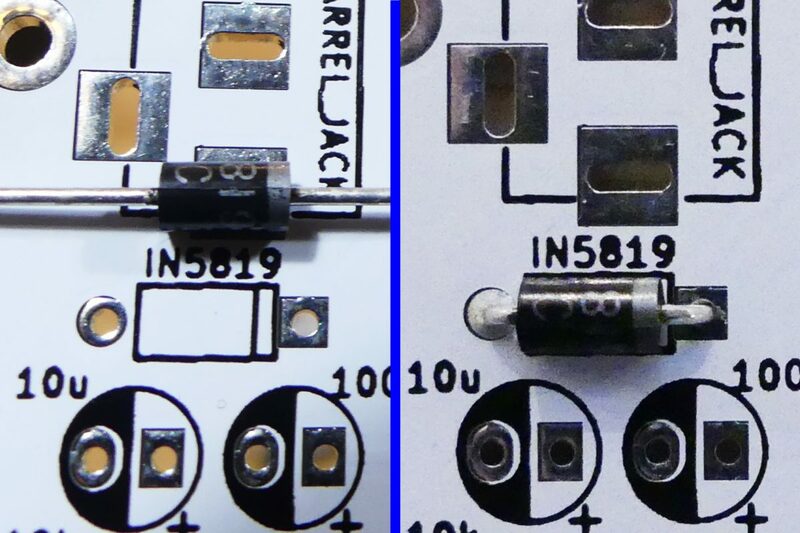 Insert the two 100n ceramic capacitors (marked 104). They are not polarised and can be installed any way around. Take care not to confuse 100n with 100p. They are not polarised and can be installed either way around. 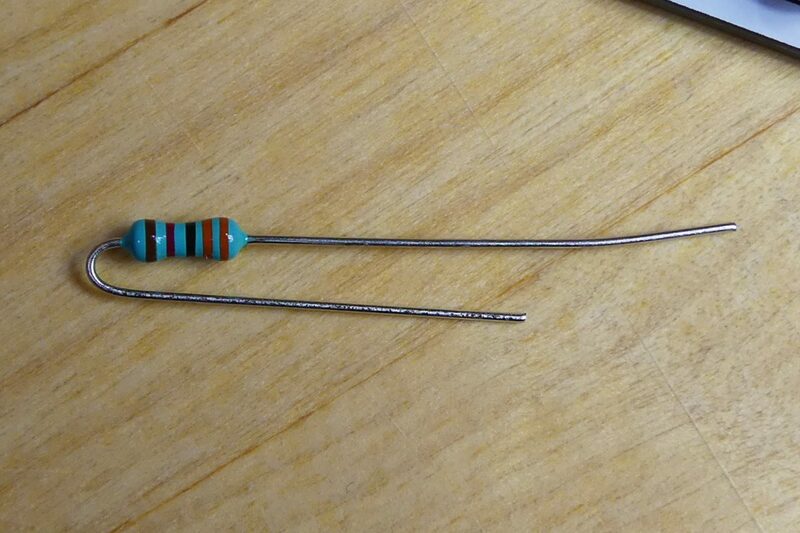 For each resistor bend one leg over as shown. Insert and bend to keep in place. 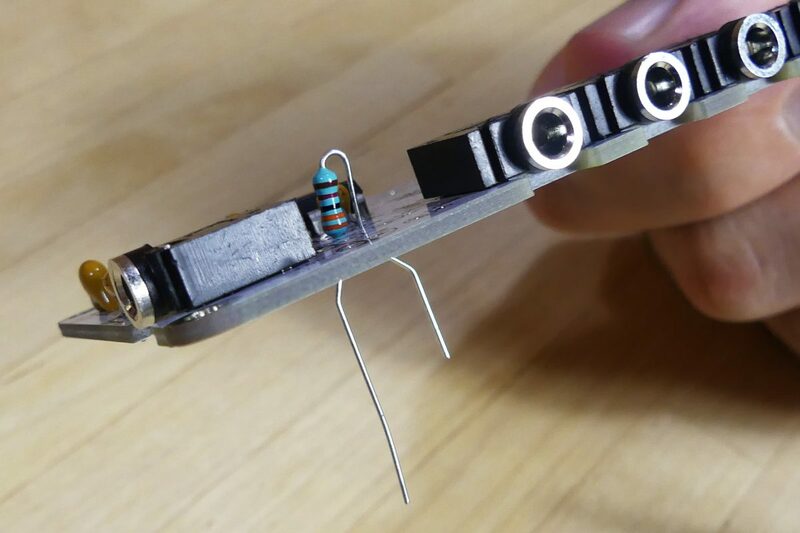 Resistors are a non-polarised component and so can be installed either way around. 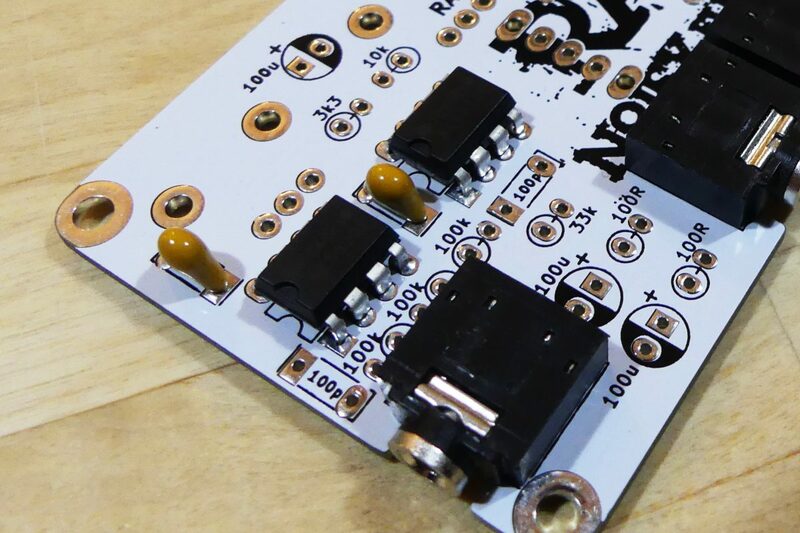 The silkscreen shows a circle intended for the resistor body, this is merely a suggestion as it will work fine either way!